The best window tints for cars are made by Huper Optik, Formula One Llumar, 3M, DUB IR. The first three brands mentioned have a standard, medium, and premium line of films. DUB iR only has their ceramic window tint line, which is a high heat blocking and high clarity film. With in the Formula One Llumar line, the Stratos is the best film. Previous to the Stratos being introduced a few years ago, Formula One’s Pinnacle was the highest performing film Formula One Llumar offered. Huper Optik’s Select Drei is their highest performing line of films though the Ceramic line is right there with it, and likely the better choice. The Ceramic line is available in a full range of shades, from ask dark as 5% limo tint to as light as their Klar 85 clear film, and all shades in between. The Huper Optik Select Series is only available in two shades, their Drei 35% and their Sech 60%. 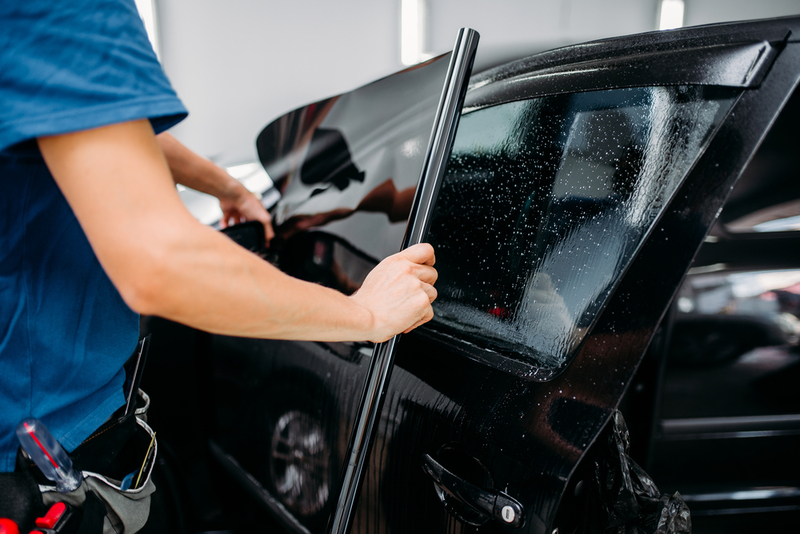 Huper Optik’s Ceramic and Select series are 100% dye free ceramics, with extremely high heat rejection which make them a popular choice for those looking for the best car window tint. 3M’s best window tint is their Crystalline line. It is a very very well known and popular choice for car window tint because of its high performance and lifetime warranty. The 3M Crystalline film is a multi layer optical film that combines 200 layers and is thinner than a Post-It Note. What this means is that this film offers a higher heat rejection than some darker films so that you don’t need to change the appearance of your vehicle to keep it feeling cooler.